Charming holiday cottage in a wonderful central, private location in a wooded glen where prize winning Angora goats and Shetland ponies graze. 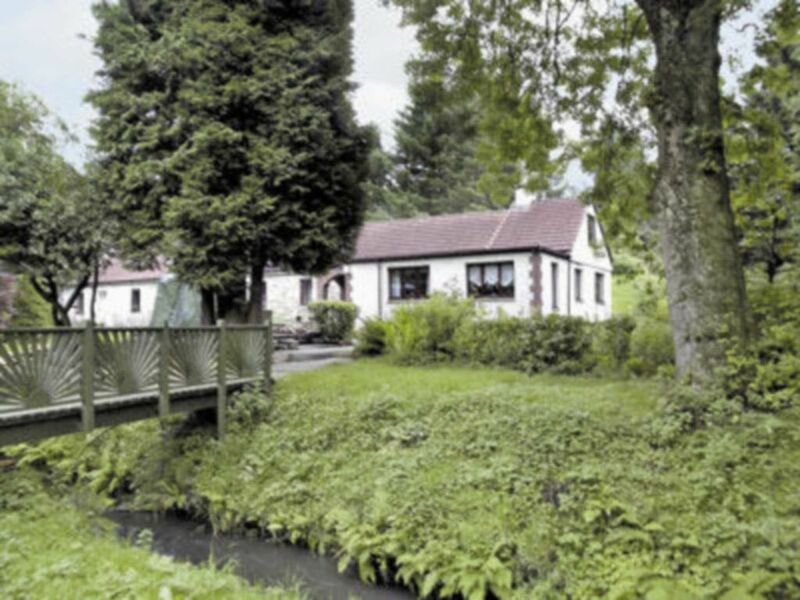 Attached to the owner’s home, this peaceful small holding is ideally located for exploring the best of central Scotland. In open countryside, 5 miles from Airdrie, it is only 15 minutes drive from Stirling with its imposing castle, under an hour from Glasgow or Edinburgh, while Loch Lomond and the Trossachs are in easy reach. Golf locally. Shop and pub 2 miles. Living room: With open fire, TV, DVD player, CD player and double sofa bed. Kitchen/dining room: With electric cooker, Aga, microwave, fridge/freezer and dishwasher. Biomass central heating, electricity (£20 per week December-February), bed linen, towels and Wi-Fi included. Initial fuel for open fire included. Cot and highchair available on request. Telephone - for incoming calls only. Large garden with garden furniture and barbecue. 10-acre grounds (shared with owner). Private parking for 2 cars. No smoking. Please note: There is an unfenced stream in the garden. There is an electricity charge of £20 per week between December to February - inclusive. Heating and water are Biomass. Initial fuel for open fire included, thereafter available locally at cost. There is an unfenced stream in the garden.